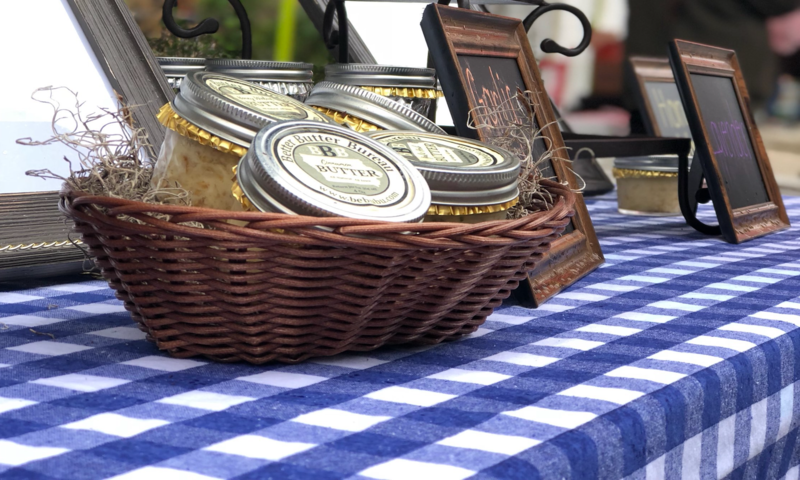 In addition to the Des Moines Farmers’ Market, you can find Better Butter Bureau at the Iowa Food Co-Op and used in Chef Katie’s Farm to Table meals every Thursday at the Wallace House. We help protect Iowa’s air, water, soil and wildlife by supporting farming practices that enhance the environment. Information on Chef Katie’s Farm to Table meals at the Wallace House can be found at the following link. Better Butter Bureau is a Des Moines based business that strives to make the best butter with the best ingredients. All cream is sourced from local dairies. No preservatives are ever added! One of these is Sheeder Cloverleaf out of Guthrie Center, IA. To quote them: “Sheeder Cloverleaf Dairy is a grass-based dairy… The cows eat live growing grasses and legumes. We have found this method of farming to be good for the cows, good for our farm, good for us.” The other dairy is Kalona SuperNatural, a certified organic dairy in Kalona, IA.